When Makeba was eighteen days old, her mother was arrested and sentenced to a six-month prison term for selling umombothi, a homemade beer brewed from malt and cornmeal. The family could not afford the small fine required to avoid a jail term, and Miriam spent the first six months of her life in jail. As a child, Makeba sang in the choir of the Kilnerton Training Institute in Pretoria, an all-black Methodist primary school that she attended for eight years. Her talent for singing earned her praise at school. Makeba was baptised a Protestant, and sang in church choirs, in English, Xhosa, Sotho, and Zulu; she later said that she learned to sing in English before she could speak the language. On 9 November 2008, Makeba fell ill during a concert in Castel Volturno, near Caserta, Italy. The concert had been organised to support the writer Roberto Saviano in his stand against the Camorra, a criminal organisation active in the Campania region. She suffered a heart attack after singing her hit song "Pata Pata", and was taken to the Pineta Grande clinic, where doctors were unable to revive her. She won the Dag Hammarskjold Peace Prize in 1986, and in 2001 was awarded the Otto Hahn Peace Medal in Gold by the United Nations Association of Germany (DGVN) in Berlin, "for outstanding services to peace and international understanding". She also received several honorary doctorates. In 2004, she was voted 38th in a poll ranking 100 Great South Africans. 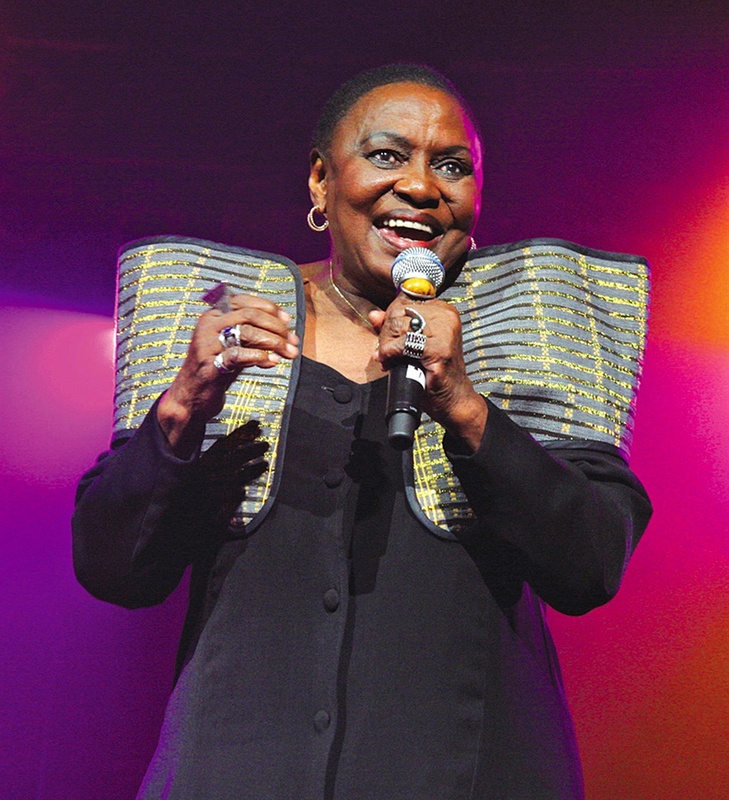 From 25 to 27 September 2009, a tribute television show to Makeba entitled Hommage à Miriam Makeba and curated by Beninoise singer-songwriter and activist Angelique Kidjo, was held at theCirque d’hiver in Paris. The show was presented as Mama Africa: Celebrating Miriam Makeba at the Barbican in London on 21 November 2009. A documentary film titled Mama Africa, about Makeba's life, co-written and directed by Finnish director Mika Kaurismaki, was released in 2011. On 4 March 2013, and again on International Women’s Day in 2017, Google honoured her with a Google Doodle on their homepage. In 2014 she was honoured (along with Nelson Mandela, Albertina Sisulu and Steve Biko) in the Belgian city of Ghent, which named a square after her, the "Miriam Makebaplein". Makeba's role in Come Back, Africa brought her international recognition and she travelled to London and New York to perform. In London she met the American singer Harry Belafonte, who became her mentor, helping her with her first solo recordings. These included "Pata Pata",which would be released many years later, and a version of the traditional Xhosa song "Qongqothwane", which she had first performed with the Skylarks. Though "Pata Pata"—described by Musician magazine as a "groundbreaking Afropop gem"—became her most famous song, Makeba described it as "one of my most insignificant songs". While in England, she married Sonny Pillay, a South African ballad singer of Indian descent; they divorced within a few months.